Following public consultation earlier this year, the Temple Quarter Spatial Framework has been formally adopted by Bristol City Council's Cabinet. This is a milestone for the zone and, to mark the occasion, we've published a blog post offering a round-up of our achievements to date. Lots is happening in the area this month - scroll to the bottom of this email to read about some upcoming events, as well as some quick-fire updates from businesses and projects in the area. 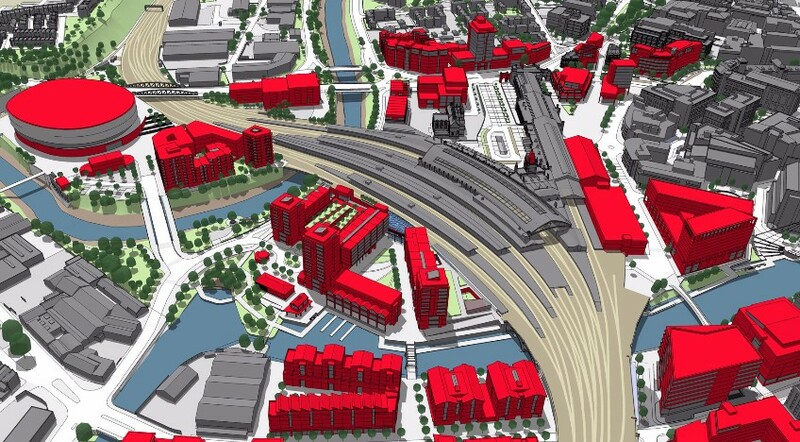 The Spatial Framework, a document that will help guide and shape the future development of Temple Quarter, has been formally adopted by Bristol City Council's Cabinet. The framework shows a liveable urban quarter with work hubs, residential apartments, the new arena, and an expanded transport interchange area with a world class station at its heart. Find out more on our website. Two sites in the Enterprise Zone - one on Temple Way and the other on Avon Street - have come one step closer to redevelopment. 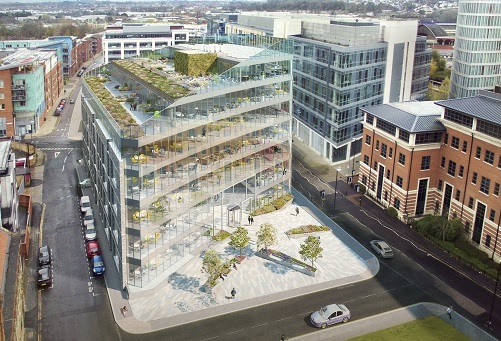 The Anvil (pictured right) will be a luxury office development by Linkcity, and has just been given planning permission. Assembly Bristol will be a mixed-use scheme with office space, public realm, shops, restaurants and cafes; it has just appointed agents to market offices in its first phase. Do you want to know more about growing your business and accessing long term equity capital? Would you like to understand more about how others have grown their businesses on the stock market? On 9 November representatives of the London Stock Exchange will be available at The Engine Shed for an informal conversation about the finance options available to support business growth. If you would like to book a drop in session (available between 2 and 5pm), please email Claire Dorrian on cdorrian@lseg.com. OVO Foundation works in partnership to help homeless young people.